Printfest Announces 2015 Printmaker of the Year! Printfest, the UK’s foremost artist led printmaking festival, has announced Jane Glynn as its Printmaker of the Year 2015. Dedicated to the exhibition and sale of contemporary prints, Printfest which began in 2001, has a national profile with many artists saying it’s their favourite show of the year. The Printfest weekend in May sees 1,500 visitors travelling to Ulverston from around the UK. To select this year’s Printmaker of the Year, Printfest partnered with the Zillah Bell Galleries in Thirsk, a fine art gallery which represents a wide range of national and international artists and is often described as one of Yorkshire’s best kept secrets. Jane was selected from a short list of artists put forward by the Gallery and recently spent a week in Ulverston, working on a commission based on the area which will be unveiled at Printfest. 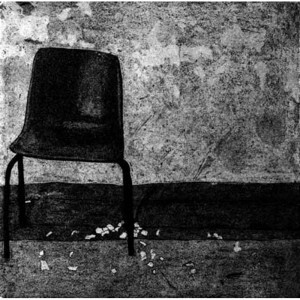 Jane is an Irish artist currently undertaking a Masters Degree in Fine Art Printmaking at the National College of Art & Design (NCAD) in Dublin. Her work has been exhibited at the Royal Academy in London, the Royal Hibernian Academy, Dublin and was chosen for the inaugural exhibition of The Royal Academy of Arts in North Yorkshire. Liminal space is the cornerstone of Jane’s work. An on-going project is on the interiors of buildings in transition―places that are floating between functions, drifting towards abandonment and decay, hovering between ownership old and new. She has a fascination with the remnants of past lives – both physical and psychological – that remain in these buildings long after their inhabitants have gone. Primarily through intaglio printmaking and photography, Jane engages with these atmospheric spaces and their sense of fleeting temporality.